Roger Federer just won the 2015 Dubai Duty Free Tennis Championships with an impressive 6:3 7:5 victory over world number 1 Novak Djokovic. Throughout this match he played exciting aggressive Tennis. He hit phenomenal topspin backhands and very aggressive forehands, which allowed him to come to the net a lot. Roger looked extremely confident on the court in this match and many tennis experts will argue that he is winning again because he has his confidence back. So did Roger “work” on his confidence? Roger of course did not work on his confidence. Instead Roger worked on his skills and these improved skills resulted in more confidence. In the past I often argued that Roger needs to improve his topspin backhand and become a much better net player if he wants to compete for Grand Slam titles again. With the help of Stefan Edberg Roger did exactly that in the past 12 months or so. He now hits lots of good topspin backhands and he has become a lot more effective at the net. 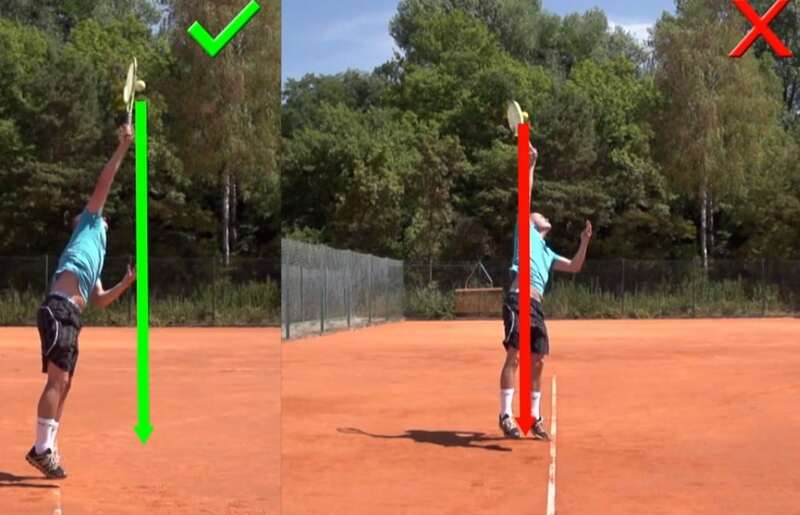 It is very difficult to say what Roger and Stefan worked on in order to improve Roger’s topspin backhand. My guess is that they did work on some technical elements even though this is impossible to say without asking them. We can’t see any huge changes but minor tweaks like staying sideways a little longer for example can make all the difference in the world at this stage. To me it appears as if Edberg helped Roger find the right tweaks for his backhand. Even more impressive in my opinion though is Roger’s improved net play. He is a completely different player up at the net these days. Roger gets much closer to the net and he understands the importance of positioning after the first volley. In the past he often stayed too far back after the first volley and as a result it was too easy to pass him. Now however Roger gets unbelievably close to the net after the first volley and makes it really hard for opponents to pass him. Essentially he does what all great net players in the past have done: He forces opponents to lob him by moving forward in an extremely aggressive manner. Stefan Edberg did the same thing and so did all the other great net players like Patrick Rafter, John McEnroe for example. So players are now forced to lob Roger more often and lobbing Roger Federer is not an easy task. Because of his great backwards movement and a rock-solid overhead, opponents are forced to hit lobs that are almost perfect and that puts a lot of pressure on them. Roger now uses the first volley to position himself effectively for the second volley. 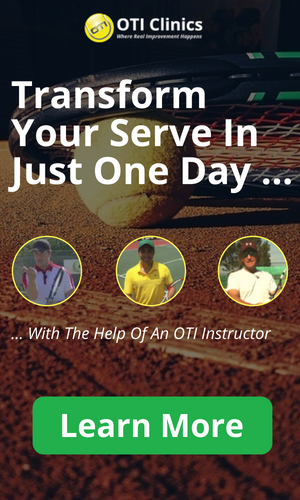 One mistake he often made in the past was hitting difficult first volleys to the open court. That opens the court too much and players like Djokovic and Nadal are phenomenal at hitting passing shots on the run. Instead Roger now often hits the first volley right back to the corner the opponent is already in. This strategy works really well if you get enough depth on that first volley, which Roger usually does. Now the opponent is forced to move back behind the baseline and Roger can move in very close. The result is a much more difficult situation for his opponents that often results in errors. Roger now uses what I like to call the “surprise serve and volley tactic”. He adds serve and volley to his game on a regular basis but he also does not overdo it with this tactic. If you use this tactic, opponents cannot simply float returns back high to the baseline. If you don’t use it too often, opponents will be surprised and will often float the return and leave you with an easy high volley to finish the point! So in the end Roger’s current high-level of confidence resulted from working on his skills in the past 12 months or so. An improved topspin backhand and a better net game completely changed the dynamics of his matches against players like Djokovic and Nadal and that gives him the confidence he needs to beat these players. So was it all technical and not mental then? I don’t think so either. I believe this kind of an improvement usually requires technical input as well as the right mindset in order to make these changes and allow yourself to regain that confidence. Developing this kind of a “champion’s mindset” is crucial and something we will talk more about in the next 2 weeks!